I was flipping through my archives over the weekend, digging for material for a post highlighting a particular Batman artist of my youth, when I pulled out this issue. 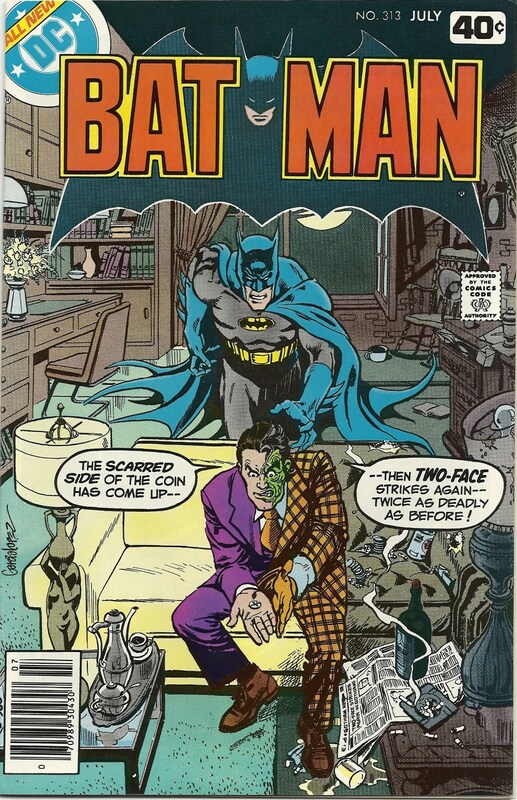 I really love this cover from Jose Luis Garcia-Lopez — we all know of Two-Face’s slavish devotion to duality and the number 2, but you have to stand with mouth agape at how far he takes it. I mean, geez, talk about taking your work home with you. As if the custom tailoring of his suits wasn’t enough. I especially appreciate the stains on the lampshade. Now that’s a home in search of a maid. And stay tuned for that other Batman post. You know, “Same Bat Channel” and all that jazz. I’m sure I’ll get it done at some point.